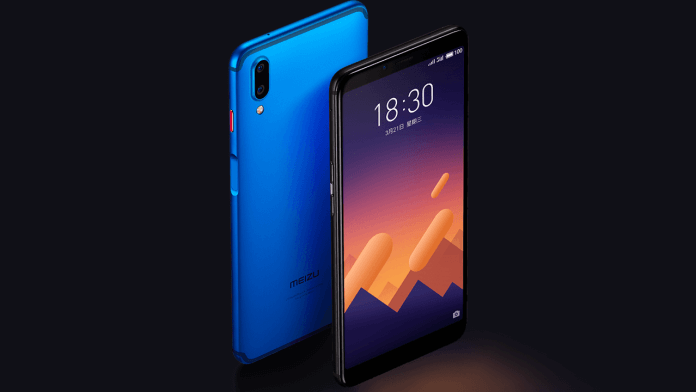 Meizu has announced Meizu E3 in China with dual camera, as mentioned 5.99-inch 18:9 ratio display, Android Nougat, and many more amazing features. The phone is running on Snapdragon 636 chipset with 6GB RAM, and it is available in 64GB and 128GB internal storage variants. Meizu E3’s dual camera setup looks identical to iPhone X’s camera setup except for the flash location and thanks to Meizu for not adding the notch. The phone is currently running on Android 7.1.2 (Nougat) with Flyme 7.0 custom OS by Meizu. Thankfully the phone still has the 3.5 mm headphone jack, and it supports Bluetooth 5.0. The phone supports USB Type-C with fast battery charging and Meizu claims that it can charge up the phone up to 53% in just 30 mins. They also included a non-removable powerful battery of 3360 mAh. The phone is available in Black Stone, Moonlight Silver, Champagne Gold colors.